Unfortunately for Texas bikers, careless drivers often fail to take reasonable precautions towards people on motorcycles. 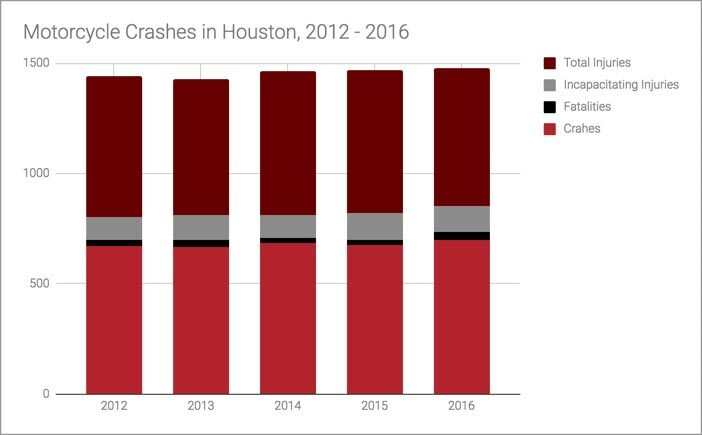 In 2018 there were 618 motorcycle crashes in Houston alone. Those crashes produced 168 injuries, 131 more serious injuries, and tragically took 26 lives. If you or a loved one has suffered significant harm in a motorcycle accident, you should contact an experienced motorcycle accident lawyer right away. You may be facing a long road to recovery, and only an aggressive Houston motorcycle attorney will be able to protect your legal rights and get you the compensation you deserve. Let us tell your story and fight for justice. Submit the short form below to get a free case review. The dangers associated with motorcycle crashes are no secret, nor are they a mystery. Bikers are far less protected than passengers in cars and trucks. Accordingly, when a motorcycle collides with another vehicle or object, more often than not that collision causes significant injuries. The data below comes from the Texas Department of Transportation. It shows, among other things, that 94% of crashes involving motorcycles in Houston result in some sort of injury. These striking motorcycle accident statistics highlight just how crucial it is that victims of motorcycle collisions caused by negligence seek counsel from an experienced motorcycle attorney. Hiring a lawyer who has specific experience helping motorcycle accident victims and families is the best way to ensure that you receive full and fair compensation. How Can a Houston Motorcycle Accident Attorney Help You? After a motorcycle crash, you need to focus on recovering from your injuries and restoring your health (to the extent that this is possible). It’s critical to seek prompt medical attention and follow the course of treatment recommended by your doctor. If you do not get immediate medical treatment after a motorcycle accident, the at-fault party (or their insurance company) may try to deny you compensation for your injuries. They’ll try to argue that your injuries weren’t really caused by the motorcycle accident, but from other separate, unrelated event. A motorcycle accident lawyer can relieve your stress by communicating with the other parties and their insurance company representatives on your behalf. He or she can also make sure that your interests are not compromised and you maximize your chances at receiving a fair settlement. 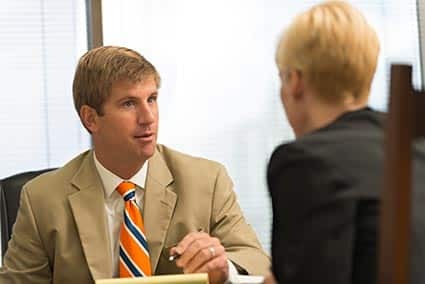 Because most reputable personal injury law firms offer potential clients a free and confidential initial consultation, you have nothing to lose by setting up a case review with a Houston motorcycle accident attorney. There is an important concept under Texas personal injury law called the “51% bar rule.” Texas courts apply what is known as a “modified comparative fault” rule to negligence claims. If you were partially responsible for the accident, the amount of compensation you receive will be reduced by a percentage proportionate to your fault. However, you cannot recover any damages if you were more than 51 percent responsible for the accident. This means that even if you were very badly injured, you may be prevented from receiving any money at for your injuries. The term “damages” refers to a legally recognized harm. The harm may be tangible (for example, a medical bill) or intangible (such as pain and suffering). If you suffered any of the following types of injuries or losses, a Houston motorcycle attorney can help you recover compensation in an insurance claim settlement or personal injury lawsuit. Past and future medical treatment. A motorcycle accident victim may be entitled to compensation for his or her past or future medical treatment. Loss wages and reduced earning capacity. If you missed work as a result of a motorcycle accident, an experienced lawyer can help you recover lost income. You may also be entitled to damages for the amount of income you will lose over your lifetime if your earning capacity has been reduced. Property damage. You may be able to recover damages for the damage to your motorcycle, helmet, protective equipment, and other personal property. Pain and suffering. Texas law recognizes the right of motorcycle accident victims to sue for pain and suffering. Loss of enjoyment. This refers to the loss of enjoyment of recreational activities or time spent with family and friends. Loss of consortium. Texas law allows motorcycle accident victims to recover damages if their ability to enjoy intimate relations with their spouse has been impacted. Punitive damages. Under Texas law, you may be entitled to punitive damages if the party who caused your injuries behaved in an extremely careless manner. Only an experienced motorcycle accident lawyer who has represented bikers in the past can calculate the amount of damages you’re entitled to receive in your motorcycle accident lawsuit. If you were in a motorcycle crash and are dealing with any of these types of injuries or financial hardships, contact an aggressive motorcycle accident attorney right away. There are two different methods for obtaining compensation after a motorcycle accident. You can either enter into a settlement agreement with the at-fault party’s insurance company or file a personal injury lawsuit against that party in Texas state or federal court. For some minor motorcycle accidents, it may be possible to secure a fair compensation settlement from an insurance company. But often, insurance companies will try to unfairly shift blame onto motorcycle riders. You may get to a point during the insurance claim settlement and negotiation process when you realize that it won’t be possible to get the compensation you deserve. A motorcycle accident lawyer can file a personal injury lawsuit against the at-fault party in state or federal court. Although it generally takes more time to reach a settlement in a personal injury lawsuit, you may ultimately receive a significantly higher settlement than the insurance company was willing to offer. By filing a lawsuit, you’ll show the at-fault party that you’re serious about getting the compensation that you deserve. And because going to trial can be an expensive and risky proposition, the responsible party may quickly realize that offering you a fair settlement is the best thing to do. At Sutliff & Stout, we fight for motorcycle accident victims to get the compensation that they deserve. We understand that motorcycle riders face unfair prejudices and we’ll work tirelessly to make sure that you receive a full and fair settlement for your injuries and other losses after an accident. 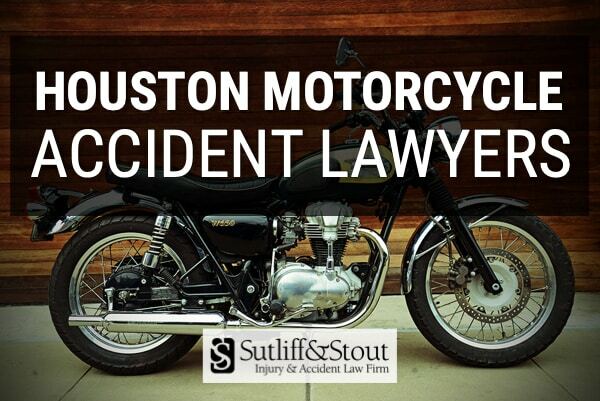 To schedule a free and confidential consultation with a Houston motorcycle accident attorney at Sutliff & Stout, text or call (281) 853-8446 anytime, 24/7.